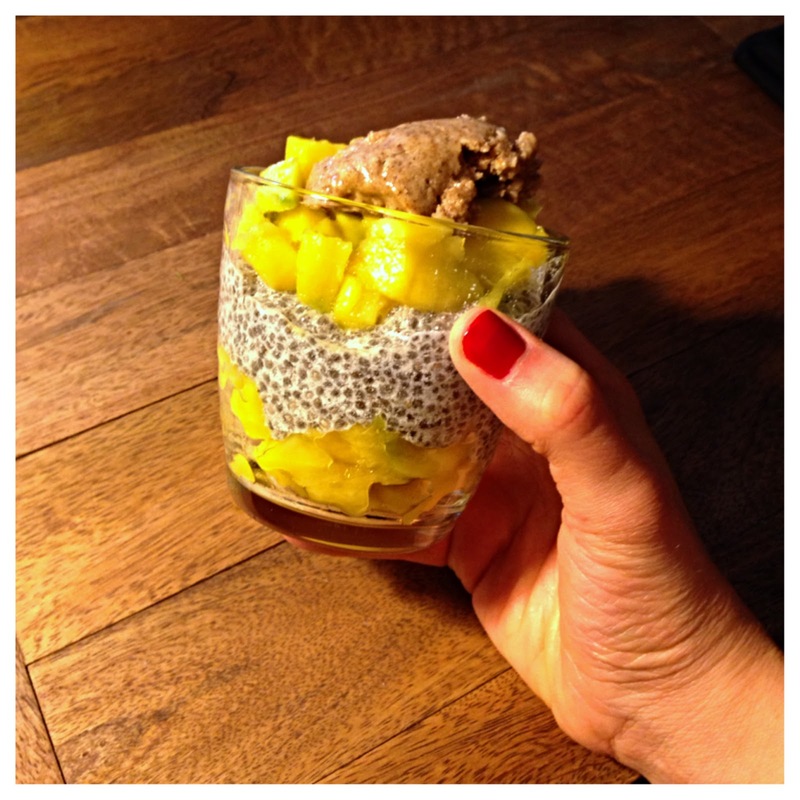 I've shared my affection for chia seeds before in this post, but I thought I'd share a bit more about my favorite way to use them: chia seed pudding. I first tried this tasty vegan treat at a Lew Pain Quotidian in NYC. If you like the texture of rice pudding or oatmeal, this is similar. Chia seeds absorb liquid and swell to 10x their normal size, and when measured appropriately, you'll get a creamy and delicious pudding consistency. It'd be hard to mess this recipe up, as you can always add more liquid or seeds, plus any additional flavor enhancers you'd like. I almost always use unsweetened, unflavored almond milk to start, and a pinch of salt. From there I get creative- the treat above was with coconut extract, flaked coconut, mango, and blackberry, and below I used almond extract, mango, and a dollop of homemade almond butter on top. I've done apple ginger cardamom in the fall, and vanilla plus ANY fruit is delicious. Again, hard to go wrong. I'm going to try cocoa powder next, and might try a PB2 and banana mix for post-workout fuel. Le Pan even shares their recipe, here. 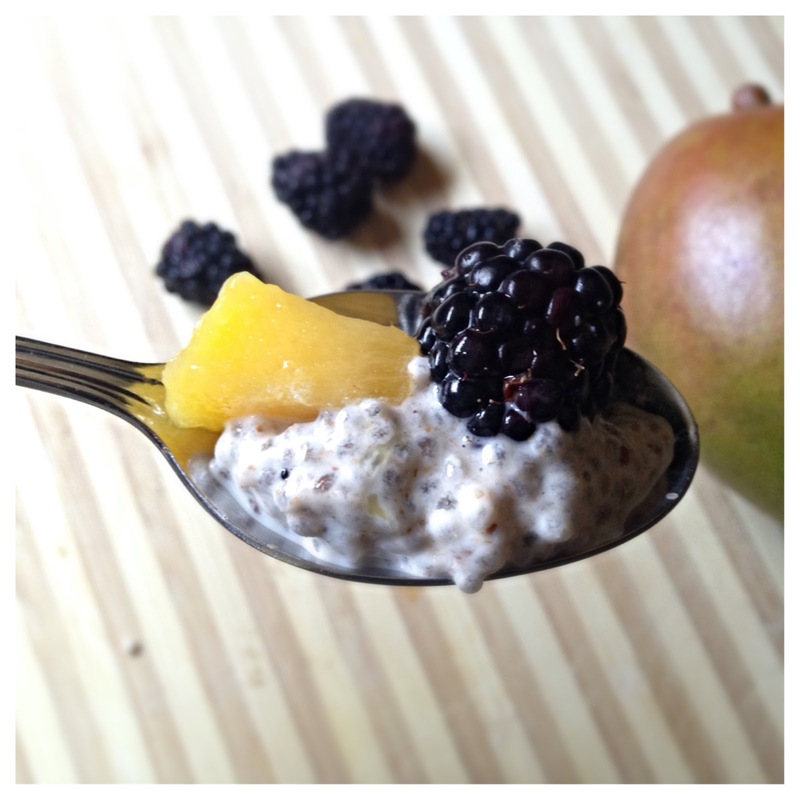 For four servings, they recommend mixing 5 T chia seeds with 1 3/4 C canned coconut milk, then adding a sweetened fruit sauce. A creamier, fattier base (like canned coconut milk compared to almond milk) will give you a richer dessert, more like panna cotta (and less like breakfast). Try out a few flavors and let me know what you like!